Miles Teller, king of movie bro-dom, now has something in common with cartoon character Arthur: He too will soon be an aardvark. 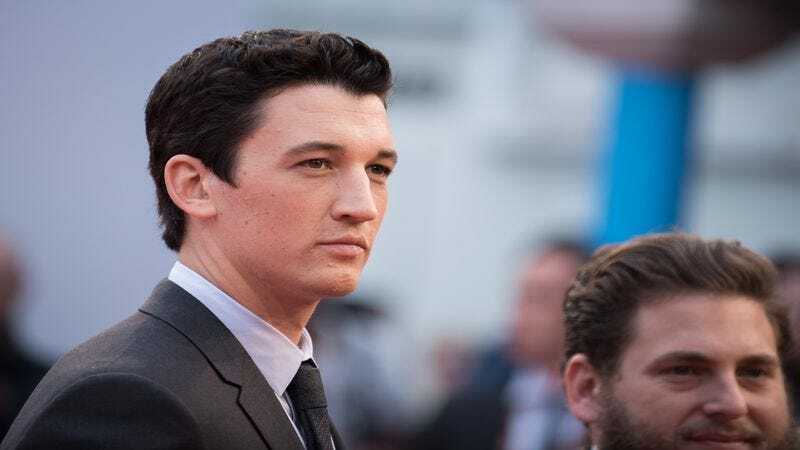 According to The Hollywood Reporter, the Whiplash and War Dogs actor has been tapped to voice the lead role of Gilbert in The Ark And The Aardvark from Kung Fu Panda director John Stevenson. “The Ark” of the title is indeed Noah’s, but this spin on the biblical tale doesn’t sound particularly heavy and/or religious. So, no, this is not a rehash of what Darren Arnofosky put us through a couple years ago. The movie focuses on Teller’s character, a nocturnal mammal “who leads a group of misfit animals though natural disasters and personal anxieties.” Stevenson said in a statement via THR that Gilbert is “young, spirited, sarcastic,” all descriptors that could be applied to any number of Teller performances. Teller can soon be seen in Bleed For This, a biopic about boxer Vinny Pazienza due out in November. While The Ark And The Aardvark likely won’t push Teller much as an actor, perhaps it can turn him into an inappropriate meme. After all, that’s what became of Arthur.